Supporters of the Minneapolis to Duluth railroad predict a fast, affordable passenger train running several times a day. They say it would reduce traffic congestion on Interstate 35, and spur spending and development along the line. And they say, once up and running, the train will pay for itself. Duluth hasn't had passenger rail since 1985, according to Ken Buehler, who manages the city's old downtown depot. That's when Amtrak pulled out of town. "The problem with Amtrak was that in the 10 years it ran here, it needed a subsidy every single year," Buehler says. "So in designing this new service, we told the consultant, 'Look, we're only interested in doing this if there's a revenue surplus.' Once we start the service, we want it to run forever." The Minneapolis to Duluth-Superior Passenger Rail Alliance includes representatives of each county from Hennepin to Lake, including Douglas County, Wis. The cities of Minneapolis and Duluth are also members. A feasibility study is almost done. Buehler says the study shows the train can be self-supporting -- if it runs fast enough, and often enough. "The consultant came back and told us that this would not need a subsidy if the trains were of a suitable frequency of at least eight times a day in the corridor. Travelling at 110 miles an hour, there was a revenue surplus," Buehler says. 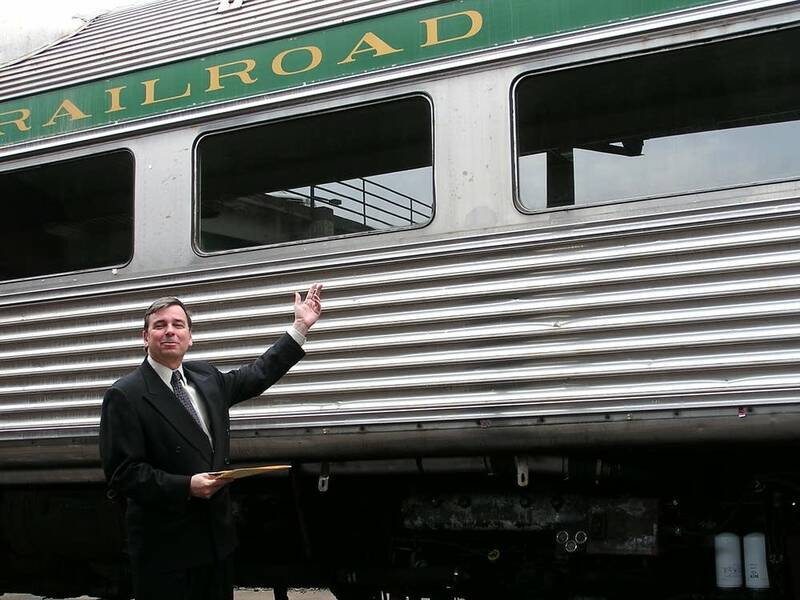 "Even more exciting," Buehler adds, "was the fact that their work showed if the train stopped at the front doors of the Grand Casino in Hinckley, ridership skyrocketed to the point where the surplus went from about $2 million a year to over $12 million a year, assuring that the train would be self-sufficient long into the future." The Mille Lacs Band of Ojibwe, which owns the Grand Casino, has provided support like meeting accommodations and lobbying. The band paid for a study that identified the advantage of routing to their casino's door. But so far, the band hasn't announced whether it intends to become a full dues-paying alliance member. Supporters say the time is right for the train. But the pricetag is steep, up to $400 million. Supporters are optimistic the federal government could pick up the lion's share of the cost. The train runs through the congressional districts of Minnesota Rep. Jim Oberstar and Wisconsin Rep. Dave Obey. Oberstar chairs the House Transportation Committee, while Obey chairs the Appropriations Committee. But getting government money isn't getting easier. St. Louis County Commissioner Steve Rauker says the state will be asked to come up with a substantial match. "With the state having a little bit of a bleak fiscal forecast as of late, and it doesn't appear to be getting any better -- we obviously would be seeking an additional 15 percent to 20 percent state dollars as well, recognizing that the local entities involved have limited resources to commit towards this, other than to keep the operations going," says Rauker. Dan Erhart, a county commissioner from Anoka, is a member of the alliance. Erhart has been a driving force behind the Northstar commuter rail line from Minneapolis north to Big Lake. Erhart predicts a hard road ahead for the Duluth rail idea. Even if the money were in place, there's still an agreement to iron out with the Burlington-Northern Santa Fe Railroad, which owns the tracks. "There's a lot of discussion and, if you will, negotiation, that has to go on. In the case of Northstar, it was years of discussion and negotiation," says Erhart. "And I expect, in working through the passenger rail line from Minneapolis to Duluth, this will take a long time." The alliance is seeking almost $2 million from the Minnesota Legislature this spring -- money supporters say is key to getting an environmental study done on time for the next federal funding cycle. That request is expected in this year's bonding bill. Bob Kelleher joined MPR's Duluth News staff in 1990, after three years with a Duluth commercial radio station, and several years on broadcast stations in Iowa.